Post Traumatic Stress Disorder (PTSD) can present itself in many different ways depending on each person. After being exposed to single or repeated traumatic events, people with PTSD may find they need extra support from their family, friends and medical professionals to get back to everyday life. Others may find it difficult to return to daily activities such as work, and may need some extra support to return to and maintain long-term employment. People with PTSD often find that with the right support they can maintain satisfying and meaningful employment. People with PTSD have a lot to offer the workplace and can bring a unique perspective to your team. 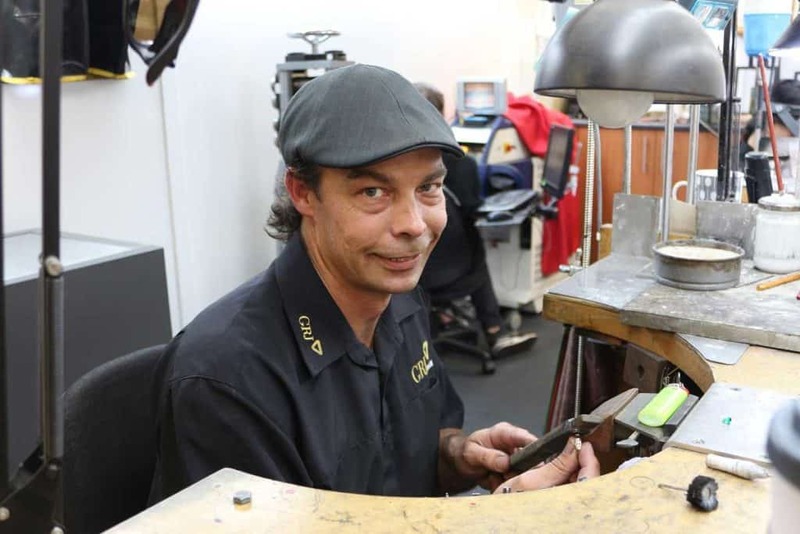 EPIC helped Mark find a great job at Gold River Jewellers. At EPIC, we know what it takes to help people find and keep a job they love. We offer a holistic approach to employment, and ensure that every person receives personalised support to ensure they are successful in the long-term. If you are a person with PTSD the below tips and strategies may help you find and maintain meaningful employment. For people with PTSD it is important to feel supported in their personal and professional lives. Support from family and friends can often help people with PTSD through the ups and downs that PTSD can bring. Support can come from a variety of sources including GPs, psychologists, psychiatrists and peer support groups. Each person with PTSD is different so it is important that they find support from people who understand their unique needs and aspirations. At EPIC, we understand that looking for employment can be a stressful time. We help people with PTSD connect with their peers and community to help remove the feelings of isolation during the job search process. We support people with PTSD through the employment journey at their own pace, which leads to a more successful outcome than rushing them into a job. That’s why we offer a holistic employment service to people experiencing PTSD. People with PTSD may find they need to focus on their mental health before returning to the workforce, or may decide to have a career change following a traumatic event. Finding the right job can take time, and that’s okay! Taking the time to consider goals, aspirations and skill gaps can help people with PTSD find a purpose in their job search and help them identify a career they feel passionately about. It is important for people with PTSD to take care of their mental health during their job search. Ensuring they are in a good frame of mind before they find employment will help reduce workplace stress and burnout in the long-term. Prior to finding employment, it is important for people with PTSD to identify coping strategies and methods which will rebalance and calm them in the workplace. If full-time employment is a daunting prospect, people with PTSD may like to consider part-time, casual and volunteer work. Flexible working arrangements can also help people with PTSD manage the demands of the workplace. Considering what workplace arrangements work best for them prior to employment can help people with PTSD feel confident and supported when stepping into a new role. EPIC takes the time to understand each person we work with. We can help identify what work preparation activities you need and provide training through our Registered Training Organisation (RTO), EPIC Education Assist. After experiencing trauma people may choose to stay in the same role but may need extra support in the workplace to readjust. For others, adjusting to a new workplace after experiencing trauma can be overwhelming and they may need support to succeed in their new role. In either circumstance, ensuring the right supports are put in place for people with PTSD helps them settle into their role and build confidence. Some people with PTSD may have experienced trauma in the workplace which has resulted in their PTSD. If this is the case, it can be helpful to have an EPIC support worker accompany the employee for a few days or weeks, to reduce isolation and ensure the person is feeling safe and supported at all times. Eli’s family business Petite Waffles provides job opportunities for people with disability. It is also helpful to allocate a work buddy or mentor to guide the employee with PTSD and ensure they are supported in their new or existing role. The employee with PTSD may like to choose their buddy or mentor to ensure they are working with someone who motivates and inspires them. Flexible working environments are also a great way to ensure people with PTSD are working to the best of their ability. Being flexible on start and finish times or working from home will help employees feel supported and comfortable in their role. At EPIC we stay with our job seekers on their employment journey for as long as they need us. We offer on-the-job ongoing support, which can continue for a day, a month, or a year- however long the person requires EPIC’s assistance. Sometimes, workplaces may not understand the experience of living with PTSD or mental illness. Colleagues and managers may struggle to exercise empathy or understanding, or may not see the benefits of adopting a flexible and approachable management style. Mental health and disability awareness training is a great way to help people at all levels of the organisation build their understanding of disability and adopt inclusive management practices. At EPIC we work with employers to ensure their workplaces are safe and supportive for job seekers with disability. We can help determine what training organisations need to ensure their workplace is inclusive, and offer them training through our Register Training Organisation (RTO), EPIC Education Assist. We are passionate about finding employers that are inclusive and supportive of people with mental illness to ensure we are creating a great job fit for both the business and the employee. At EPIC we believe everyone deserves meaningful employment. We take a holistic approach to finding employment for people with PTSD and mental illness. It is important to us that our job seekers are in a good place mentally and physically before we place them into employment. That’s why we take the time to understand our job seekers and their unique need to create a Job Plan that is tailored to their unique needs and aspirations. We always treat our job seekers as individuals, and offer a personalised approach to every person. It is estimated that one in two Australians will experience a mental health condition in their lifetime, and around one in four people who are exposed to traumatic events will develop PTSD. We know that mental illness touches many people’s lives, and have created a specialised mental health consultancy to ensure we are offering our job seekers the support they need across their employment journey. Our Mental Health Consultants have expertise in mental health therapeutic approaches and employment services, and can support people with depression to develop practical skills and strategies to better manage their mental health. We know what it takes to help people with PTSD find meaningful employment. If you would like to find out more about our services, contact us today.